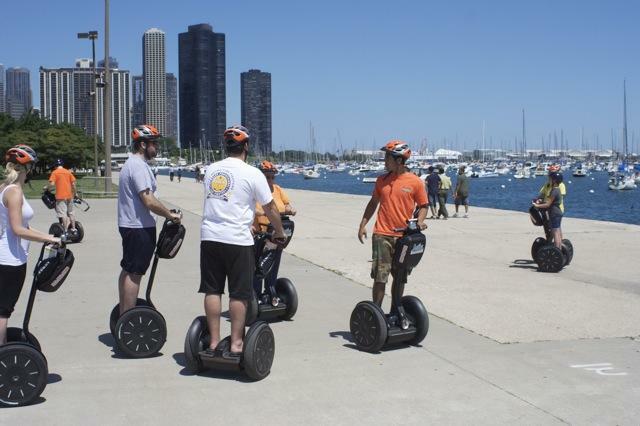 Leisure Visitors: If you’re looking for fun things to do in Chicago, try a guided Segway tour! Segways are easy to learn and exciting to ride! Absolutely Chicago Segway Tours gives you breathtaking views of Chicago’s famous attractions: Navy Pier, the Museum Campus, Lake Michigan, Buckingham Fountain, Millennium and Grant Parks, the Bean, and more! These great views also mean you'll go home with great photos of one of the most popular tourist destinations in the country. 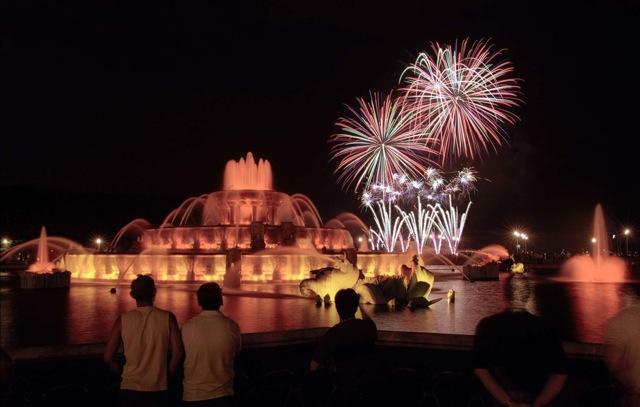 In addition to our Museum Campus/Lakefront Tour, we also offer Art & Architecture Tours, Haunted Tours, Fireworks Tours, and Private Tours. Meeting Professionals: Looking for an extraordinary idea for your next corporate event, team building event, or client entertainment? Ask about our one-of-a-kind private Segway tours. Or if you're planning an outing or meeting, get out of that stuffy conference room and into the open air with a stunning private tour. Choose a standard tour or let us customize a unique adventure for you. We can accommodate large groups, private tours, and translated tours, upon request. Absolutely Chicago Segway Tours provides breathtaking views of Chicago's most famous attractions: Navy Pier, the Museum Campus, Lake Michigan, Buckingham Fountain, Lakefront Festivals, Millennium Park, Grant Park, the Bean, and more! Enjoy the breeze as you admire the beaches, soak in the sights, and receive an entertaining account of the city's intoxicating stories and unique history. 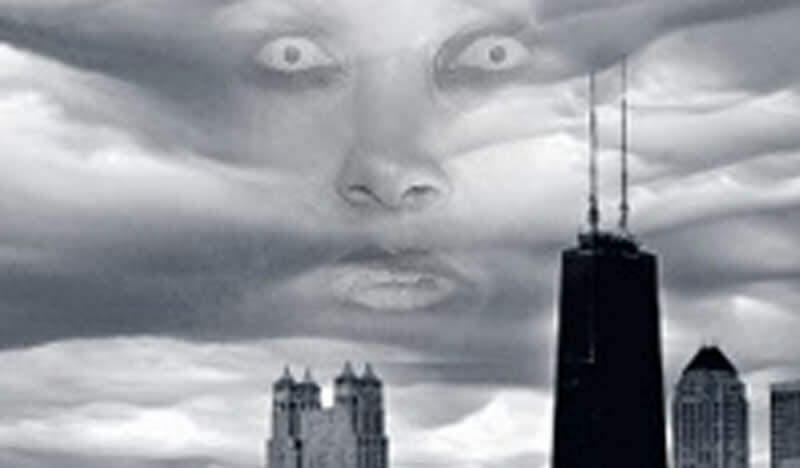 Call today to book your special outing (312) 552-5100. Or check out our Website at ChicagoSegways.com. Bilingual and Translated tours are available. Travel Professionals: Tourists and locals know that you haven't seen Chicago until you've seen it from a Segway. 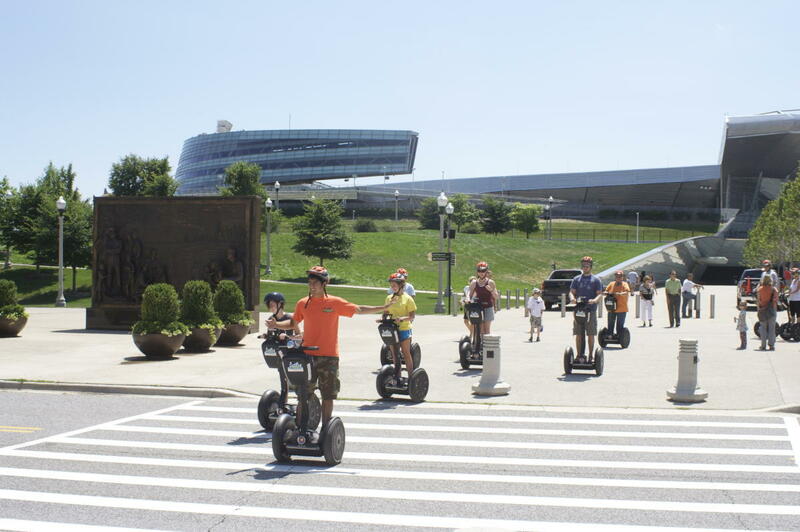 One of the most popular Chicago tours, a Segway tour is a great way to see the City's top attractions in just 2 hours. If you're wondering if a Segway is safe and easy to learn, the answer is YES! This magnificent eight mile gliding journey is effortless, unique, and exhilarating! Our guests get fantastic views of Chicago's famous attractions: Navy Pier, the Museum Campus, Lake Michigan, Buckingham Fountain, Millennium Park, Grant Park, the Bean, and more. 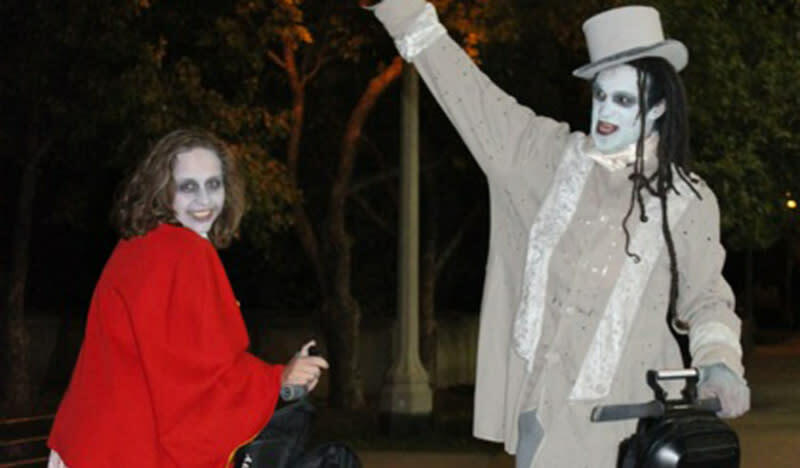 Our friendly, professional tour guides are available for tours by day or night. We can accommodate large groups, private tours, and translated tours, upon request. For an amazing way to view the famous beaches, parks and museums that have made Chicago one of the most popular tourist destinations in the country, plan on this Chicago tour to remember! Travel Planners rates are available.